This is a fun way to get the kids involved with holiday decorating for this year and years to come. Everyone loves salt dough because you most likely have the ingredients in your home, it’s easy to make and use, and it’s non-toxic. Here’s a new take on those salt dough ornaments kids love to make. It combines the ideas of gingerbread houses and Christmas villages without the added expense. I chose to keep my house natural partly because I like the rustic look and partly because I’m still cleaning up after the last time I used glitter. 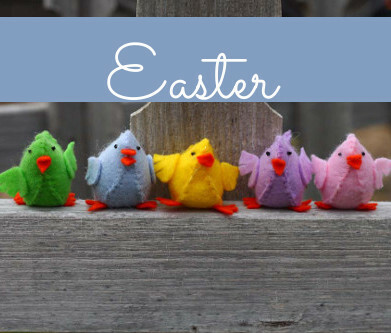 Decorate your houses however you would like, and display them on your mantel. Optional: Glitter, Paint, Christmas Embellishments, Candy, etc for decorating. 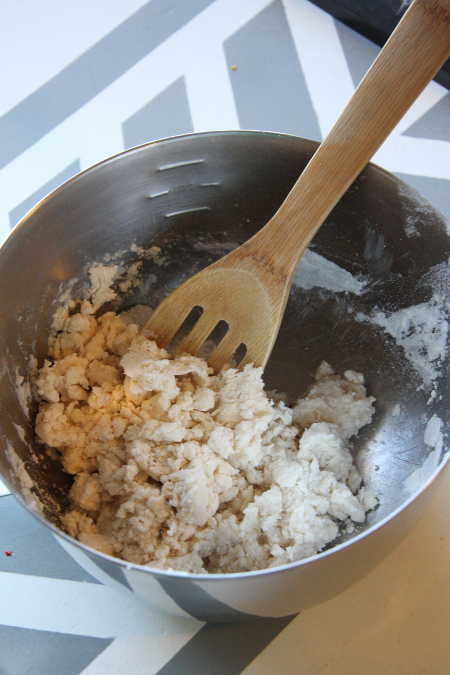 Start by combining your salt dough ingredients in a bowl and mixing together until a nice dough forms. If it’s too crumbly, add a little more water, if it’s too sticky add some more flour. 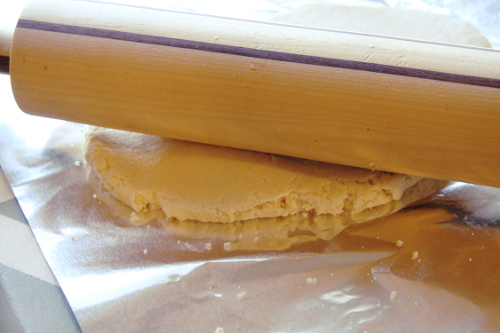 Roll out your dough to 1/4 inch thick on some wax paper. As you can see, I used tin foil because I found out after making the dough that I didn’t have wax paper. I don’t recommend using tin foil as the dough will stick. 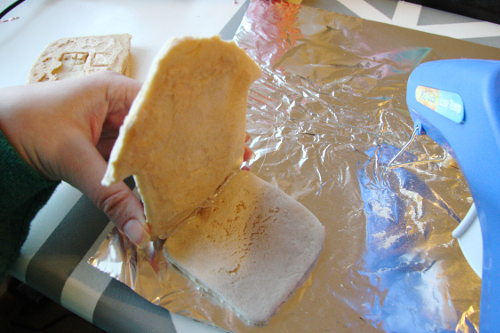 Sprinkle a little flour on top of the wax paper to prevent any more sticking. 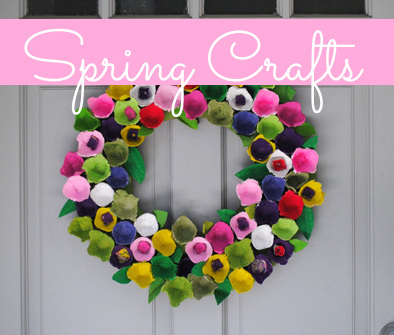 Create a template on a piece of cardboard for the front and sides of your house. I used a square votive holder to create my shape, but a ruler will help you make perfect shapes. 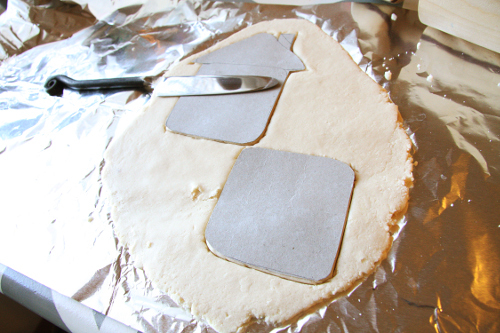 Sprinkle some flour on top of your dough and place the templates on top and cut around them with a butter knife. Keep rolling and cutting your templates until you have two pieces with roofs and 3 without. Create indentations with your butter knife for doors, windows, shingles, and whatever else you would like on your house and place your pieces on an ungreased baking sheet and bake at 250 degrees for 2 hours. 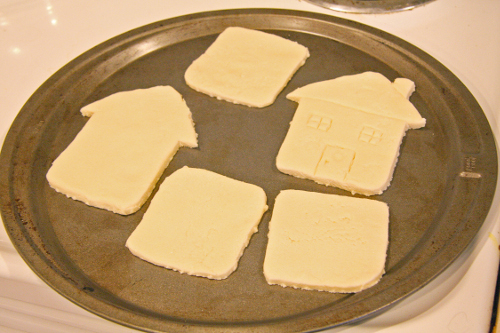 Once your salt dough has hardened, glue our house pieces together, 1 on the bottom, 2 sides and a front and back. I really cared about the way the front of the house worked, so I made sure that the sides were glued to the back of my front piece. Now it’s time to decorate your house however you like, or just leave it alone for a more natural look. Place a tea light on the inside and watch it glow! Create roof pieces and don’t glue on a bottom for a more classic Christmas village look. Use polymer clay for a smoother result. Make tiny window cutouts so the light can glow through. 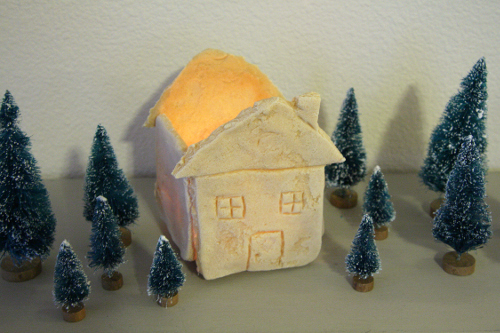 Create cinnamon dough to make them look like gingerbread houses and your village will smell amazing. 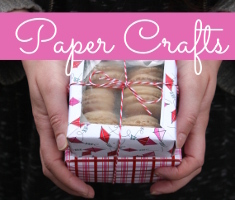 This entry was posted in Baking & Treats, Christmas, Clay Crafts, Crafts, DIY gift ideas, Family Crafts, Home Decor, Kid's Crafts, Winter and tagged Clay Crafts, DIY gift ideas, Family Crafts on December 15, 2013 by Joselyn.